Kristy Teskey joined myFutureNC in the fall of 2017 as the executive director to lead the initiative’s statewide education planning efforts. She is a proven leader in providing innovative and strategic solutions in education. For more than 25 years, she has worked on vital issues across the education and workforce development continuum, ranging from early childhood development to postsecondary access and completion. 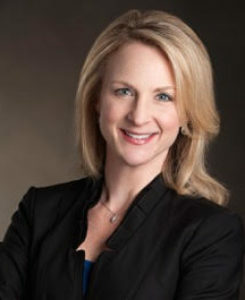 Kristy was the inaugural executive director of the John M. Belk Endowment, a private family foundation partnering with results-oriented postsecondary institutions and programs in North Carolina. She led the organization’s strategic vision to create systemic change for all North Carolina students to access and complete postsecondary education and move into family-sustaining employment. Before joining the Endowment, Kristy served as senior vice president for the Bank of America Charitable Foundation, where she helped create and lead the national philanthropic strategies focused on education opportunities and pathways into the workforce. Prior to that, Kristy was vice president of Community Impact for Children and Youth at the United Way of the Greater Triangle and held leadership roles in youth and fund development at the YMCA of the Triangle in Raleigh, NC. Kristy has a Masters in Public Administration from University of North Carolina at Charlotte and earned her undergraduate degree at North Carolina State University in English Education. She lives in Charlotte and is currently working on her doctorate in education from Northeastern University.